The computer and I had a small disagreement last week. The computer won since my post did not publish. Since there was not a game there is not a winner for me to announce. I hope everyone will join me on Wednesday for a game. 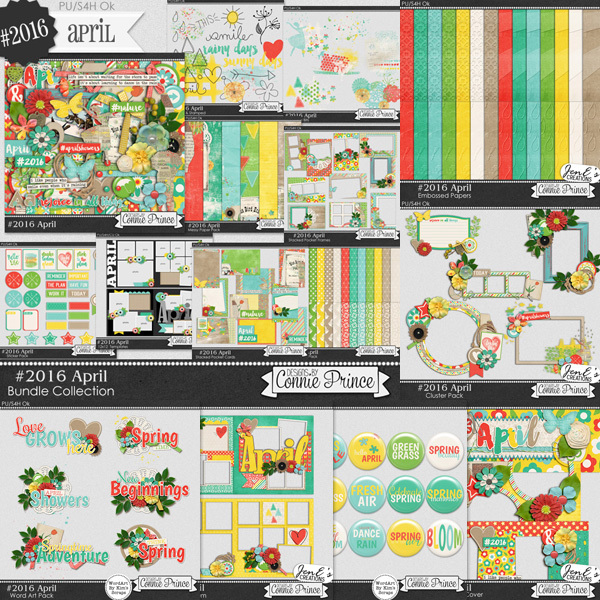 The April installment of Project 2016 is now on sale. This is such a beautiful kit and I love this series. Such a great way to record your memories through out the year. The buffet is going on over at GingerScraps. Procraftinating is a fun and pretty kit. I can not wait to use this kit. It will be so fun to record all of the memories of me and my daughter crafting. Last of all is your freebie. 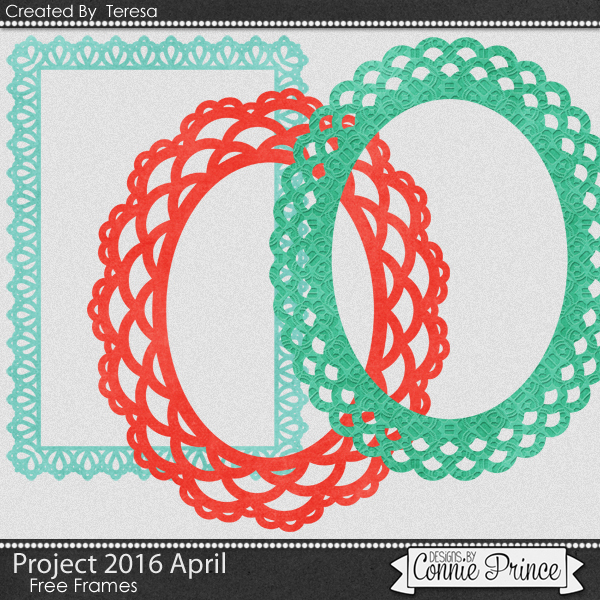 I made you these cute frames with Project 2016 April. 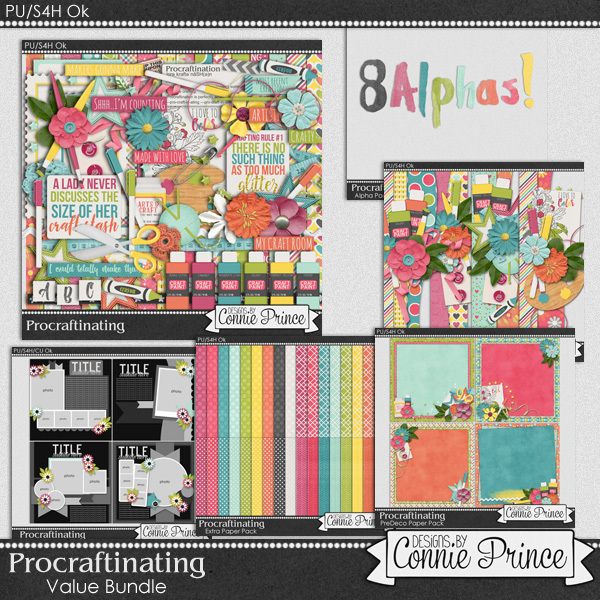 You may download them HERE. Thank you for the frames. Always useful! merci pour ces jolis cadres.